What is the ADKAR Model? Supports individuals moving through change and improves organizational outcomes. 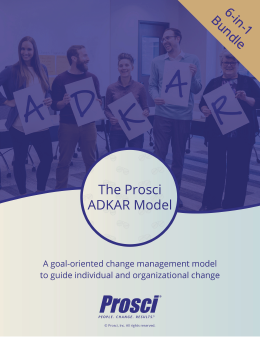 The Prosci ADKAR® Model is a goal-oriented change management model that guides individual and organizational change. 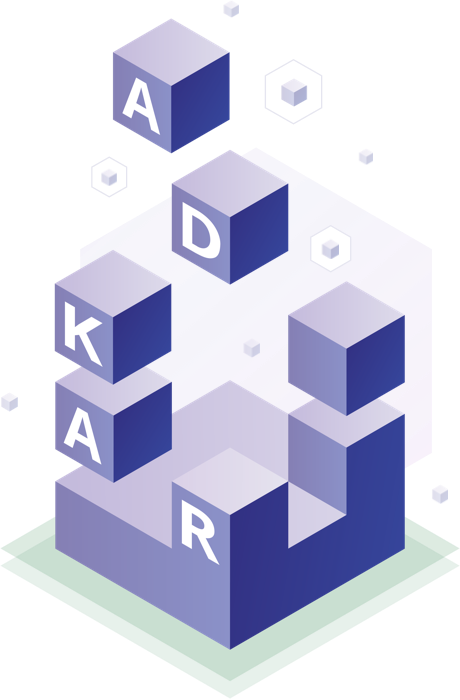 Created by Prosci founder Jeff Hiatt, ADKAR is an acronym that represents the five tangible and concrete outcomes that people need to achieve for lasting change: awareness, desire, knowledge, ability and reinforcement. By outlining the goals and outcomes of successful change, the ADKAR Model is an effective tool for planning change management activities, equipping your leaders facilitating change, and supporting your employees throughout the change. Allows leaders and change management teams to focus their activities on what will drive individual change and therefore achieve organizational results. Delivers clear goals and measurable outcomes for change management activities. Provides a simple, easy-to-use framework for everyone involved in managing change. Gives employees, managers and senior leaders alike a common language to describe and discuss change together. Change is often a complex and difficult process—and it’s inevitable. The most commonly cited reason for project failure is problems with the people side of change. Yet organizations often invest more in the technical side of change than in leading impacted people through times of change. The first step in managing any type of organizational change is understanding how to manage the change that a single individual is experiencing. Driving successful change in individuals and organizations requires new thinking, new models for change, and new tools. The Prosci ADKAR Model is proven to help organizations achieve the greatest benefits from their change initiatives. Your success is our top objective! By now you've been exposed to the Prosci ADKAR Model it's time to learn more about the building blocks which make up this powerful tool. Interested in learning more about ADKAR?